The process of estate planning is not a cut and dried affair. Many people are under the impression that you create a last will, and that is the end of it. This can lead to the assumption that anyone can effectively create an estate plan. From a purely legal perspective, you do not have to be a lawyer to create a last will. Any adult who is not being coerced and is of sound mind can technically create a last will. In the state of North Carolina, for the will to be valid, the testator ordinarily must sign the will in front of two witnesses, and the witnesses must also sign the will. There are websites that sell boilerplate template documents including last wills, so you could potentially use a ready-made will that is provided by one of these purveyors. However, the question is, should you? A study was done by the highly respected magazine Consumer Reports back in 2012. They engaged three legal professors to examine last wills that were created using tools that were provided by three of the leading legal document websites. The professors found flaws, and the magazine stated that do-it-yourself wills are no substitute for a professionally prepared estate plan. 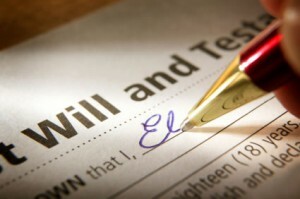 In addition to the fact that a will that you create on your own may be flawed, you may not want to use a will at all. There are a number of reasons why you might want to use a trust of some kind to facilitate future asset transfers. For example, if you use a will, it must be admitted to probate. 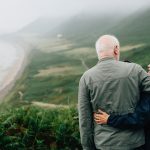 The heirs to the estate cannot receive their inheritances until this process has run its course, and this can take close to a year, even if the case is simple and straightforward. If you were to use a revocable living trust instead of a will, the trustee that you name in the document could distribute assets to the beneficiaries outside of probate. As a result, assets could get into the hands of your loved ones in a more timely manner. This is just one example, but there are numerous different reasons why you may want to implement more advanced estate planning techniques. If you decide to use a last will without knowing all the facts, your family may pay the price later on. Our firm has prepared an in-depth special report that puts do-it-yourself estate planning under the microscope. This report will provide you with a great deal of detailed information, and it is being offered free of charge at the present time. To access your copy of the special report, visit this page and follow the simple instructions: DIY Estate Planning Report.